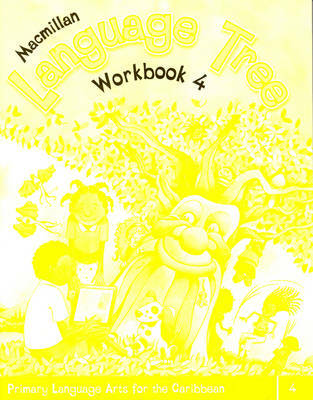 "Macmillan Language Tree" is a comprehensive seven-level "Primary Language Arts" series for the Caribbean. It follows an integrated approach and provides: coverage of the syllabus for your country; thorough practice of each language point; practice of listening, speaking, reading, writing, thinking and viewing skills; plenty of reading practice and comprehension skills with many different types of texts; explicit teaching of process writing; regular assessment; and a workbook at each level to reinforce the work of the Student's Book. The Workbooks reinforce the skills and concepts taught in the Student's Books. There are exercises which practise specific skills as well as opportunities to fill in forms, interpret charts, edit text and extract information. The Teacher's Books provide unit-by-unit suggestions for homework, extension work, assessment and answers to the exercises.